There's a bleakness to the title of OFF! 's upcoming sophomore set Wasted Years, and Keith Morris likewise points out the meaningless of it all in the new preview single "Hypnotized." Atop another of the act's old-school-styled barrage of paint-striping power chords and punchy beats, the veteran punk screamer puts the focus on society's zombie-like complacency in the face of authority ("you can't argue with the troops or the cops in riot suits"). Take a moment to consider your place in the world as Morris chokes his closing question: "Ever feel you're being used?" You can let "Hypnotized" take you over by giving it a stream down below. 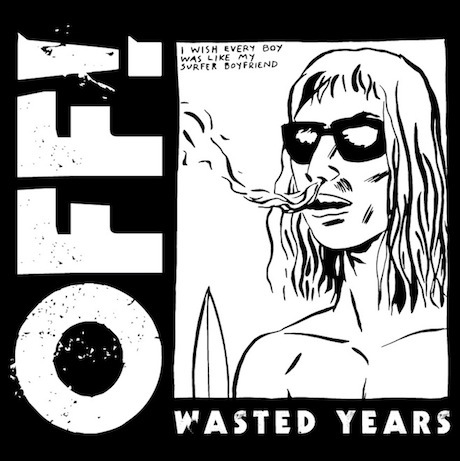 As previously reported, Wasted Years drops April 8 through Vice Records, just ahead of OFF! 's North American tour.